The ninth day of the ninth month in the Chinese lunar calendar is a traditional Chinese festival — the Double Ninth Festival, or Chongyang Festival. 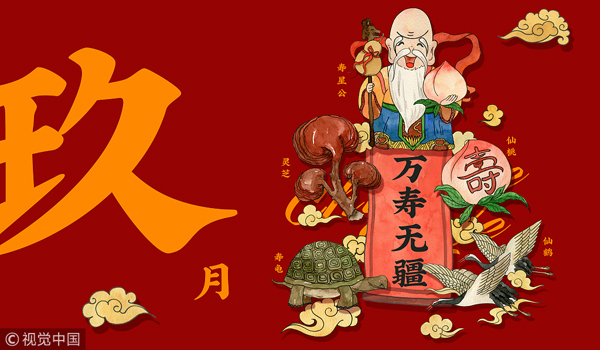 In Chinese culture, nine has long been regarded as the number of "yang", making the day of the festival one of two "yang" numbers, while "chong" in Chinese means double - thus creating the name of the festival, Chongyang. I pine at every holiday - my homesickness increases. Traditional customs of the festival include reaching a mountain peak and wearing dogwood just as in the poem, though many young people don't even know what dogwood looks like. What does the Double Ninth Festival mean today? Why do people climb mountains and wear dogwood on this special day？Why is the festival celebrated as "Senior Citizens Day" now? Let’s explain, one at a time. Chinese traditional festivals are often associated with awareness of natural timing. In September of the lunar calendar the sun recedes, the climate changes from warm to cold and trees and plants become withered. People have fondness and reverence for such seasonal changes. On this day, two "yang" numbers are believed by the ancient people to come together and turn into their opposite, "yin". The "qi" of the earth, which is regarded as evil, rises as the "qi" of heaven drops. Thus, the ancients climbed high to avoid evil spirits. 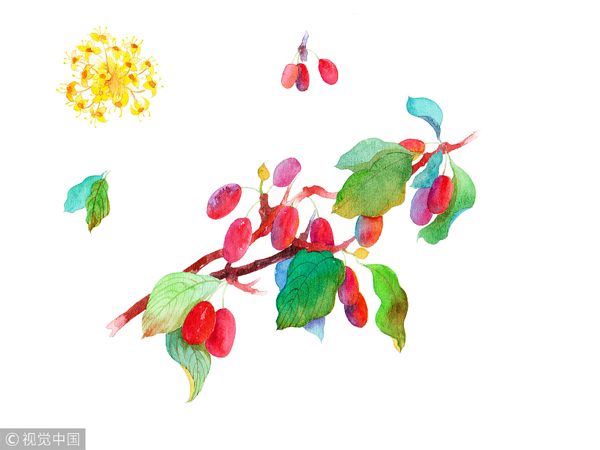 As for dogwood, it is a type of Chinese medicine used by ancient people to prevent disease. People would wear a small bag filled with dogwood leaves and fruits to ward off evil. The pronunciation of "9" is "jiu", the same as Chinese "久", which means "long" in English. "9" is also the biggest base number in mathematics. Thus, the festival has two "9s", and represents long life. In 1989, the double ninth day in the Chinese lunar calendar was designated the day of the elderly. This modern imperative to respect the elderly at the festival can be thought of as a "traditional invention," but this was not created out of nothing. The traditional custom of the festival was to reach the mountain peak to avoid disaster, and also pray for longevity. The meaning of the festival is the pursuit of life, in both ancient and modern China. In the past, technology was backward and medical care was not as good as today. People at that time hoped to be far away from disease and disaster, in order to live a long and happy life. So the festival's move from "climbing a mountain" to "respecting the aged" does not break with tradition, but instead develops the tradition for the modern era.